Many churches of all Christian faiths are using blue and white for Advent to separate it from Easter with the pink and purple candles. Go ahead, make one of each. Remove some straw to decrease the size of the wreath slowly until it comes to a small point. 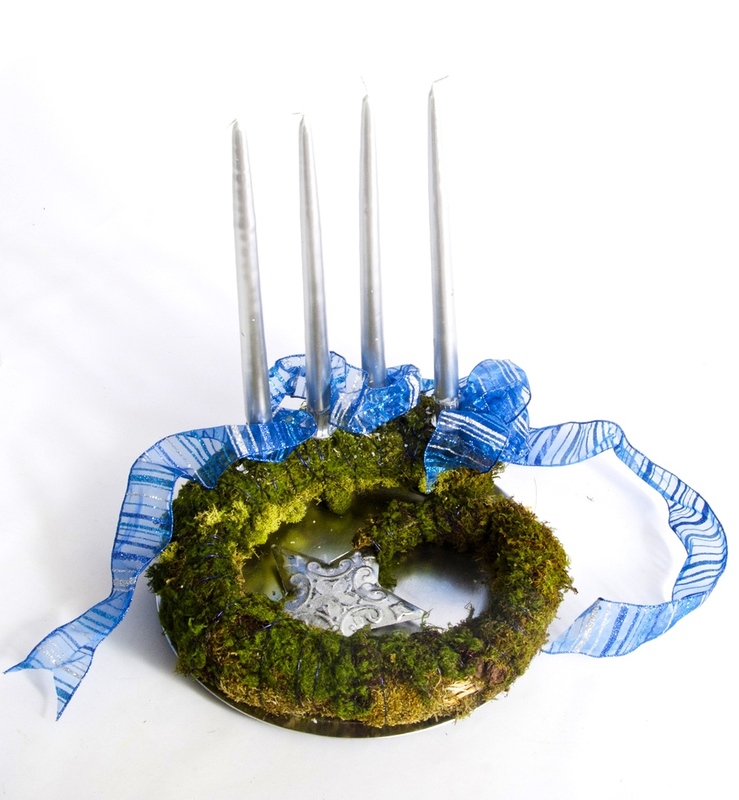 Wrap the entire wreath with blue decorative wire, make 4 holes in the larger end.